Processor: Pentium IV or AMD Athlon XP and up processor - 2.6 GHz and up. 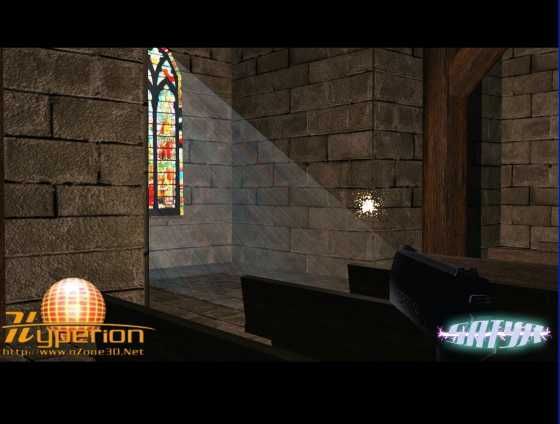 I created this demo to realise a vision I had of a church interior on a sunday morning, the camera holds a gun because it will be a part of a group of linked demos that will be in the traditional style of FPS (First Person Shooter) games. It is possible to jump (SPACE), crouch (C) and shoot (Left mouse button). This demo uses a mono light GLSL bump mapping pixel shader, shadow volumes as well as a lua script to manage the scene's actions. The demo has been coded with the [::Demoniak3D::] demo-system. This demo requires an OpenGL 1.5 complient graphics controller to run. 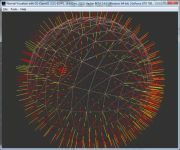 Load the file EgliseDemo.xml in Demoniak3D to start the demo. Page generated in 0.0020060539245605 seconds.